I'd like your opinion and comments on these, please. The more the better! 1. 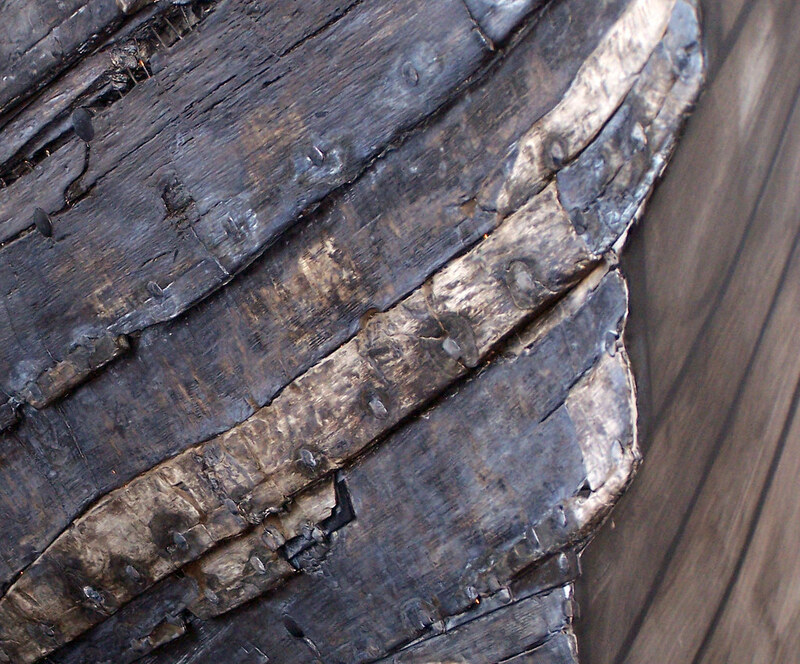 Wood of the hull of an ancient Viking ship. This wood/ship might be a millennium old! 2. "Happy as can bee"
3. "Being blue in Connemara"
4. "Looking through the folly" or "The garden in the sky"
5. 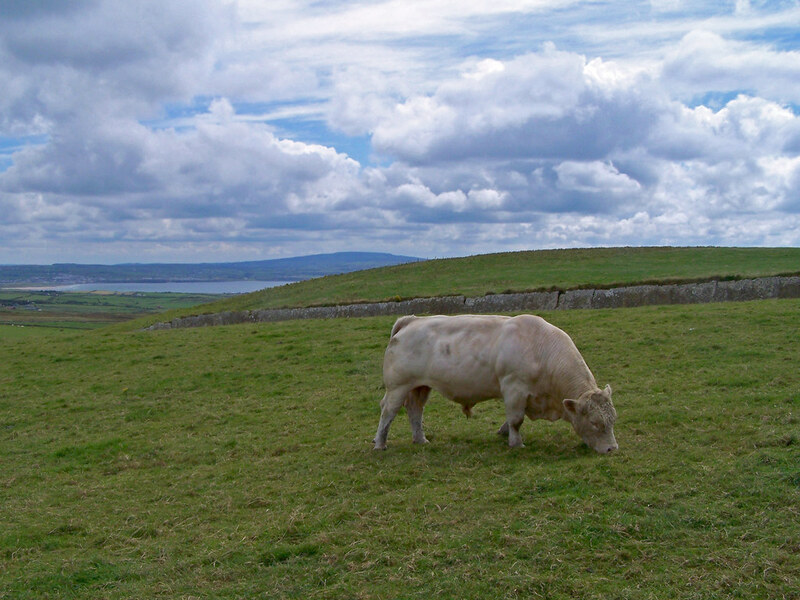 The Bull from the Sea (after one of my favourite books by author Mary Renault); taken on top of the Cliffs of Moher, Ireland. Two of these were rejected by a (professional) stock photo exchange site; can you guess which and why? "Garden in the Sky" is kind of dark, and the details in the foreground is a little tough to see... but I'm not sure which would be the other one. 1. Viking hull - love the textures of the old wood, and the beaten nail heads add that extra zing while also suggesting the fragility of the old structure. But the newer wood (?) on the right-hand side is puzzling and doesn't quite 'fit'; is it post-processing in PS? 2. Good shot and great depth of field. 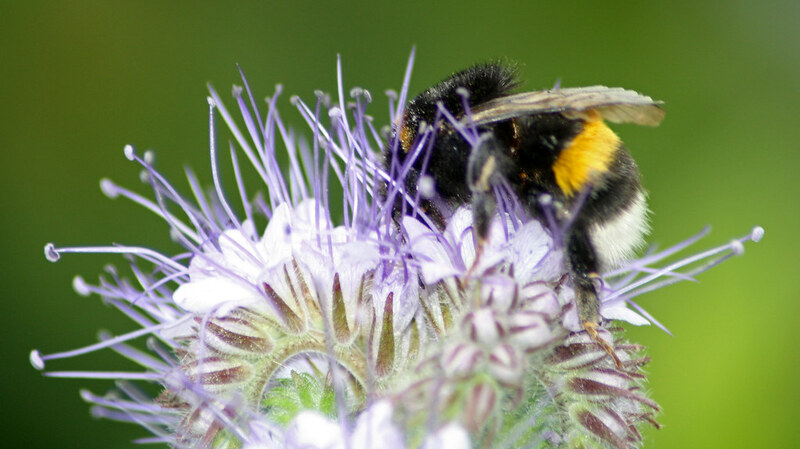 But more bumble bee please (Yes, I know these pesky insects sometimes refuse to co-operate!). 3. 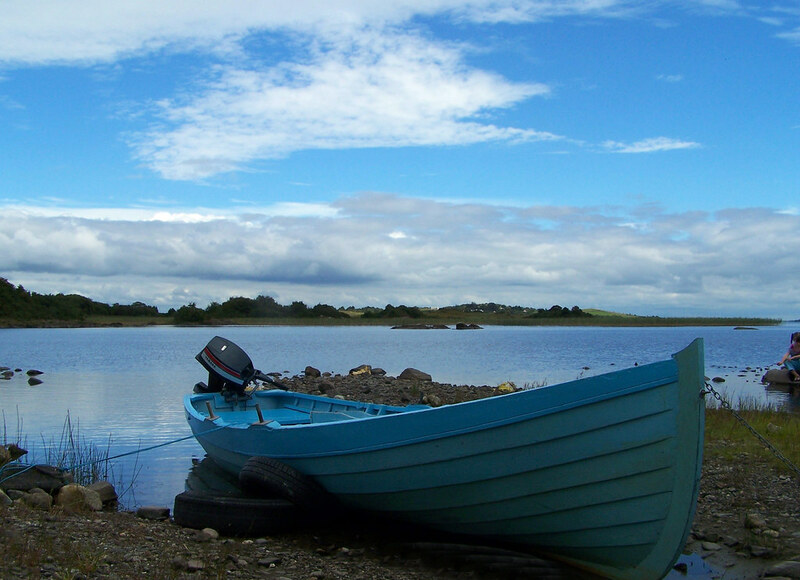 Lovely rich, soft, natural blue on the hull. And the curves are just right. Maybe some gentle highlight/shadow tweaking on the lower hull? Cropping is such a personal thing, but the horizon does bisect the picture. Maybe lose some of the sky and a smidgen tighter on the left side? But that's just me. 4. Again, silhouette detail is very personal; I'd be inclined to tweak v-e-r-y subtly to bring out some more rim texture in the stonework. I guess the landscape needs some exposure & contrast tweaking to increase tonal range and add impact. There are some shots where symmetry just . . . . works. This is one. And I love the sky - you were either very patient or very lucky to get that range of cloud interest. 5. Animals, kids, insects - sometimes you have to work with the viewpoint you have. It'd be a brave man to try move the bull to improve composition! As it is, he's moving out of shot rather than into it. A higher viewpoint would've allowed the stonework to emphasize the diagonal. Again, the skyline bisects the shot. A lower viewpoint would cut the foreground, give you more sky - but the beast would break the line of the stone slabbing.. Dilemmas, dilemmas . . . my wish would be to get closer, move to the right and just happen to have handy one of those three-step aluminium step-ladders! Aye, right! 1. No, the only post processing was the crop. The strange, newer texture you see because the ancient hul was fitted on a fake one with the same shape because the ancient hull wasn't complete. There were only fragments of the hull, fitted in their correct place, a typical "museum thing". 3. Good advice, I can lose some of the sky easily while even keeping the larger cloud intact so the horizon is offset. This was one of the pictures denied by the SXC (stock Exchange) site on the grounds of wrong lighting. I loved the curves and the colour too. Could have done without the old tires. I'll try making it tighter on the left and see what kind of effect that has. Tweaking the shadow... I tried that and didn't like the result. In the end I thought the picture being dark thre was natural. 4. Her, too, I tried to lighten the dark part but that immediately gave me that dreaded grainy/pixelating effect, though I do agree with you. I found it hard to get more contrast in the blue sky and was surprised by that. I'dlove to take credit for patience but no, I was lucky I'll get busy on experimenting with the tonal range and see what effect that will have. 5. I see what you mean by differently cropping this and think you are right. You are also right in that I couldn't improve the composition. It seems like the photographer and the bull are the only ones there but this was on the top of the cliffs, no, on the pathway tothe cliffs and litterally hunreds of people are walking behind me. I realise that I cropped it "wrong" in the sense that the bull is walking out of the picture. That shouldn't have happened as I always wrn people at work to take care people (portraits) are looking to the "inside" of a page while DTPing for publications Thing is that cropping the left side will lose me that body of water... dilemmas indeed! As for the three step ladder... my son, who photographs agriculture machinery and publishes about them had a list with the ten best tips for the photograper in that field and the ladder was in the top 5! By the way, this was the other picture refused by SXC with wrong exposure as reason. I admit I could give it more contrast and brilliance/luminance, but wrong exposure? Thanks muchly, I appreciate the advice very much. 5. The bull - see, I think you got the exposure on the animal pretty spot-on. Hair detail and musculature are beautifully crisp and defined. Any more exposure, and you'd blow the highlights along the top of his neck and back. 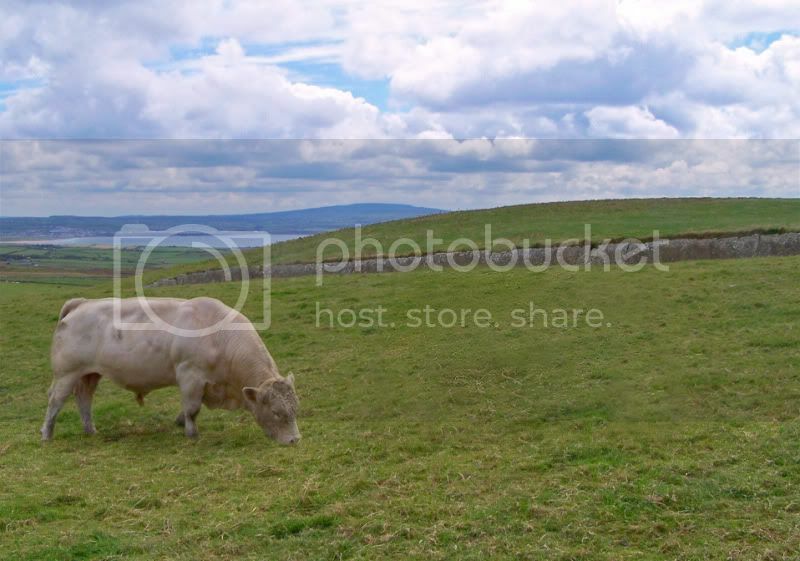 But again, the dilemma - the overcast light which suits the bull does tend to make the landscape drab. Now, if you could have fill flash which illuminated half of ireland but somehow masked the animal - why, you'd be laughing. It's the frustration that makes photography fascinating! A quick general comment/request is for you to post photos about 10% smaller. Many in this set are at or beyond the limits of my display even with the forum opened full screen. I do like all these photos, but putting my critical eye on there is room for improvement -- not always by the control of the photographer though as you are subject to the lighting at hand and vagaries of self-movable subjects. I really like the weathered old wood, it's simply gorgeous stuff. The photo itself though doesn't do anything in particular for me. In part perhaps because of the bit of framework showing, and also I don't think the square cropping is doing it for me. I think I'd prefer to either see the full boat, or just the old wood in frame -- angled the way it is, with a horizontal rectangular crop to give a feel of elongated movement in fitting with it being a boat. I like the bumblebee too (been taking several photos of them myself lately), but I think the depth of field is too narrow as the whole bee isn't in focus. The hull of the photo is too dark, but it is a lovely old boat (which looks funny with the modern motor on it to my eye). The half a girl could be cropped or photoshopped out of the photo, she's a bit distracting, and I see Farclas's point about there being too much sky as well. I think Garden in the Sky is my favorite. The foreground is a bit dark; a shame the lighting wasn't better that day. I love the low clouds in the background, they show (or create the illusion) that your at a high elevation nicely. 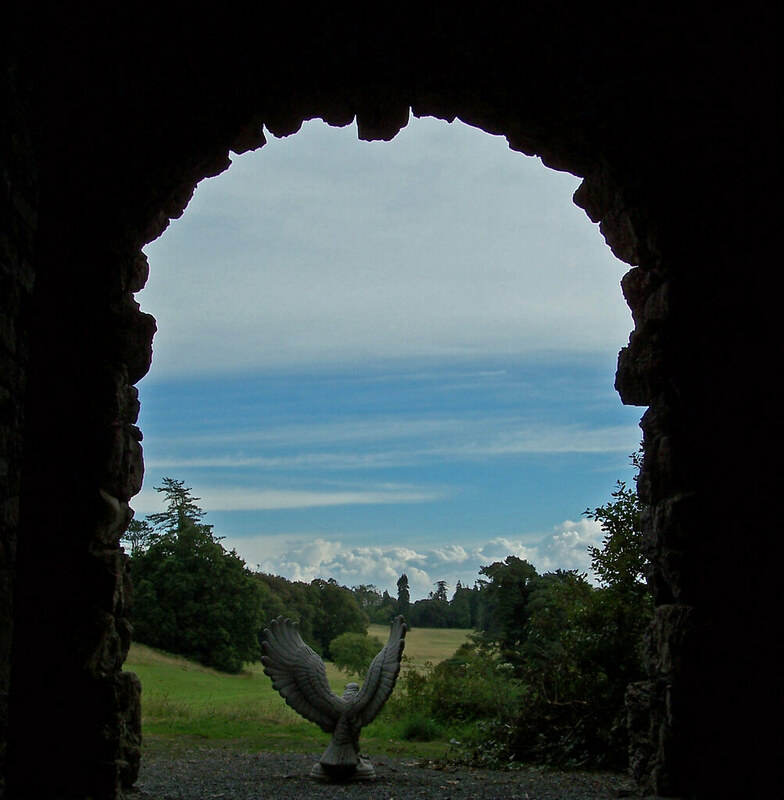 And the statue, which I guess is of a bird of prey but is angelic at first glance is putting me in mind of Anne's little known story "Fallen Angel" which is about a garden statue. The final one is such a peaceful pastoral shot, it's shooting out calming vibes. I can see that it would be better if the bull was facing the other way (and find it useful to learn why that seems aesthetically more pleasing), and I would probably crop out about half the foreground under his feet myself. These are fantastic Hans...expecially the *garden in the sky*. I also love the *Viking ship wood...the patterns in that one are amazingly beautiful. I'm wondering if it's possible to extract the bull from that photograph using photoshop, reflect it, paste it back and repair the damage to the grass with the clone tool. So the photographer can move the bull, but I guess that's cheating. Then again, the slope of the grass might mess things up. Something like this? It's a quick botch and maybe has placed the bull too far to the left. Now, the right side of the grass is too empty! I magnetic lassooed the bull, moved it, then placed a light shadow underneath. The cloning is fairly quick, brutal and fairly unsuccessful; I tried to hide the joins by adding grain, then sharpening slightly. Finally, I cropped a tiny bit of sky and some of the right side. Hans - hope you don't mind . . .
Farclas (and others) for what it is worth, you have my permision to work on photographs I post here, incuding photoshopping and manipulating them. Hans, I like "Bull From the Sea" as-is. After all, he's supposed to be from the sea. So the effect of him walking out of the frame is something I took you to have done on purpose. So what if "they" say the animal shouldn't look like it's exiting the frame. Breaking rules is often what makes a photograph above average to great.